RUSH: Lawrence in Los Angeles. You’re next as we head back to the phones. It’s great that you waited. I appreciate that patience. CALLER: Hello, Rush. How you doing? RUSH: Fine. Thank you, sir. CALLER: Hey, Rush. I’ve been listening to Governor Ducey of Arizona. He’s thinking of appointing John McCain’s wife after the senator passes, and I just don’t understand the sense of the Republican Party, what they’re thinking when they finally have a chance to put a conservative in there that will back this president, and they’re gonna go with… I don’t know what Ms. McCain’s politics is, but if it’s anything like Senator McCain’s, it’s not good. RUSH: Sadly, none of that is a factor. And, by the way, the default idea that Republicans want conservatives is not necessarily true, sadly. But I think… Remember when the Democrat… Who was it? Carnahan. Mel Carnahan passed away, and immediately his wife — the soon-to-become-known Widow Carnahan — assumed office, because it was assumed to be his office. I don’t know if they’ve announced it or if it’s just a news story on the basis of informed rumor. But I’ve seen it, that his wife, Cindy, will assume the seat. 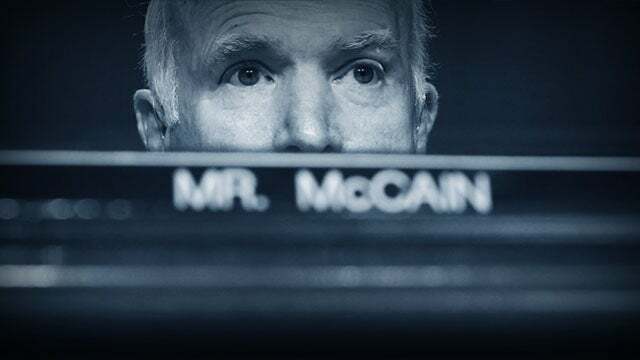 It’s being extended as a measure of respect for Senator McCain under the premise that he didn’t lose the seat in an election. But it points up, you know, one of the problems with the establishment and how they view seats and positions of power within the club.